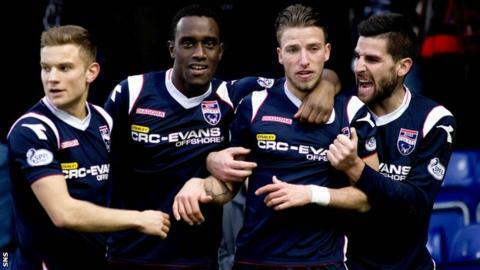 Ross County fans are being urged to show their support for the club by wearing only navy blue clothing at Tynecastle on 19 April. County are locked in a five-team battle to avoid finishing second bottom of the Scottish Premiership and entering a relegation play-off. That play-off will be against one of the top sides from the Championship. Hearts host the Dingwall side in the first round of post-split fixtures later this month. County then face Kilmarnock, St Mirren, Hibernian and Partick Thistle. Thistle currently occupy 11th place but only four points separates them and seventh-place Hibs.